Hello and thank you for visiting my website. My name is Alan McLoughlin and I am a Videographer based in Meath. 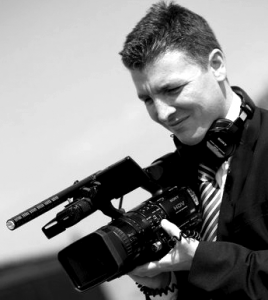 I film and edit events, occasions and experiences such as weddings, music, shows, sport and travel. A Wedding Day is a very special and memorable day in anyone’s life. I use three HD cameras to capture a great day for people to look back on fondly in years to come. I like to film in a discreet style and follow all the action as it happens. I try to stay in the background as much as possible while staying with events as they unfold. I can cover the whole day from the Morning to First Dance. Wedding can be delivered on DVD and/or USB. DVD’s are packaged with Wedding Themed cover and with an Interactive Menu with Chapters. I edit the entire day into a short 4 to 5 minute Highlights film. This is nice to have for uploading onto social media. I can edit the Wedding day to a feature length of between one and two hours. I can also edit the Wedding day as a 15-20 Minute Long film with a 4-5 Minute Highlights film. You can take a look at some Wedding samples on the link at the top of this page. Contact me for information on prices and for what I can do for you.